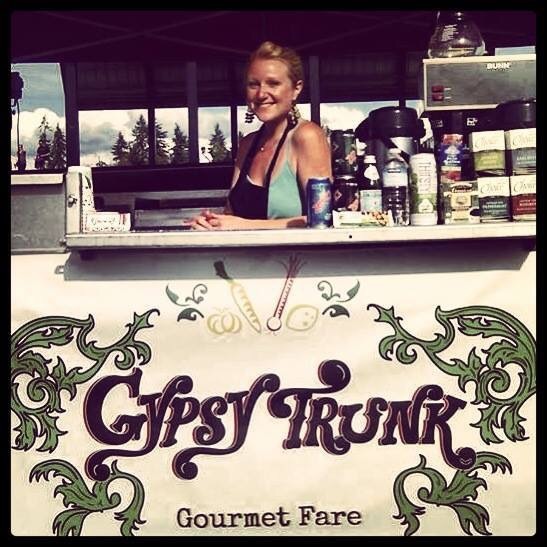 1-What inspired you to start your GypsyTrunk Gourmet Fare Food Truck? I worked for a retail store for 12 years & just felt I had much more to share with the world so I quit my job, sold my belongings & went on a road trip in my smart car for around 5 months to do some “soul searching”. Food/cooking/veganism was a huge passion of mine so when I found myself house sitting on salt spring island, I began playing with recipes & posting them to a blog page on my website along with photos from my experiences on the island. I began making a menu with the intention of creating a catering Monday-Friday meal program but I found myself procrastinating due to all the details that I decided to go the food truck route instead and just concentrate on a more simple menu. 2-Being a culinary artist, what inspires you most about food? Experimenting & playing with the different colours, textures & cooking styles of simple plant based ingredients – Whole grains, beans, nuts, seeds, vegetables, fruits, oils, vinegars & herbs. 3-What are your favourite vegan ingredients? I’d have to say for “treat” vegan items – I LOVE the cheesy flavour of nutritional yeast. On popcorn, in soups & sauces, eggless salad, etc. Cashews because they are soooo versatile. Can used them blended up in pasta sauces, soups, vegan versions of sour cream, cheesecakes, mylks, dessert cream (to have with fresh fruit), yogurts, toasted as garnishes on meals, etc, etc. 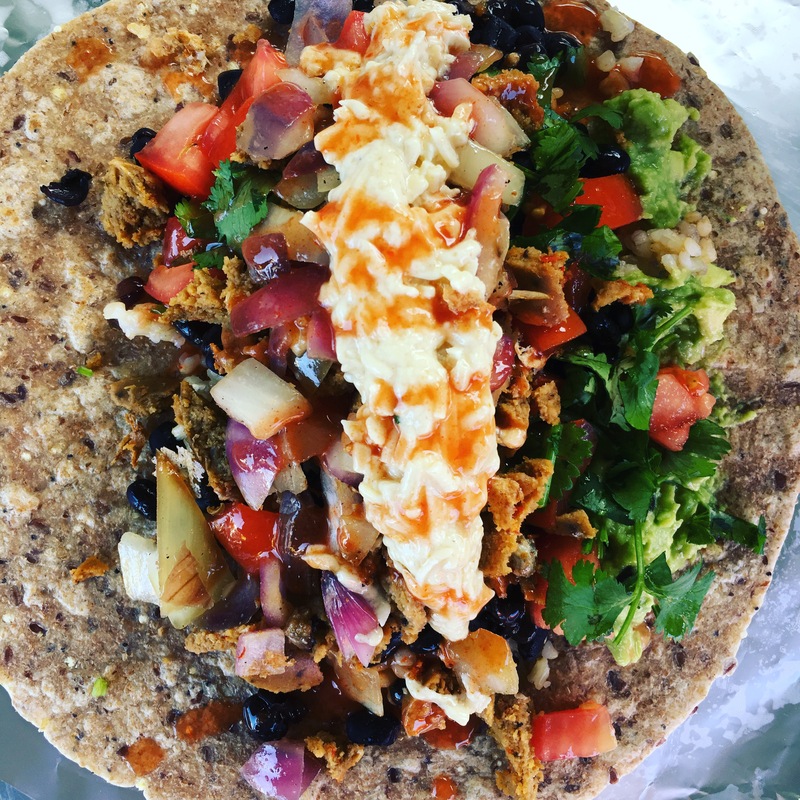 4-What are your long term goals for your Food Truck business? To be honest, I don’t really have a long term plan for my food truck business. I would love to eventually have a base of operation in Abbotsford where I live, where I can have a cafe/retail storefront. 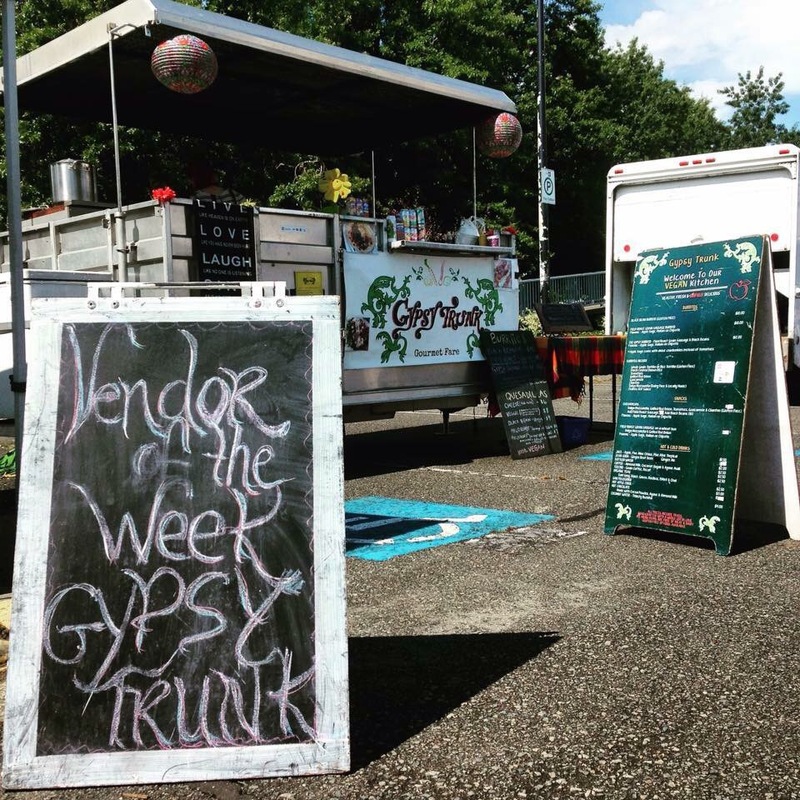 5-What advice would you have for other food truck or culinary artists looking to start a business?